Wayman D. Palmer deserves every honor, every accolade this community can muster. On Friday, May 17, 2017, Palmer will join a list of individuals who unselfishly distinguished themselves as servant leaders. Those familiar with Wayman Palmer truly understand it when we say Palmer touched, influenced, directed and yes saved lives. His hands were on our souls. Undoubtedly his higher calling benefited those whose lives he touched. 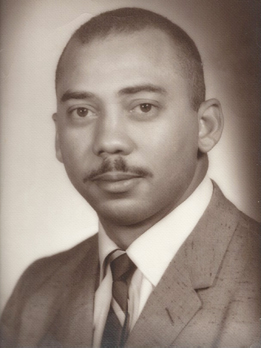 Professionally, Palmer for 16 years served as an educator, first teaching general science and mathematics in Columbia, South Carolina and later in the Toledo Public School system, from 1952 to 1966. If you’re of a certain age, you famously remember Palmer’s One-in-a-Million ice cream stand at Division and John R Streets. 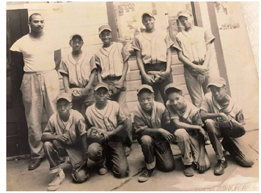 Palmer and his dad, Cecil H. Palmer, were early entrepreneurs [Jerry’s Carryout on Nebraska Ave, named after Palmer’s star-athlete brother, Jerry] both faithfully serving the community. Propelled by his love for the community and his desire to make a difference in people’s lives, Palmer moved through a number of community leadership positions, including heading the Work Experience Program for Youth, the Economic Opportunity Planning Association of Greater Toledo, the Department of Community Development for the City of Toledo, and the Toledo Economic Planning Council. Palmer helped attract millions of dollars, jobs and opportunities to this community and championed innovative ways to create access to affordable housing. Additionally, he served a stint at the Consumer Cooperative Bank, in Washington, D.C.
Clearly one of our most productive and influential community leaders, Wayman Palmer’s business acumen was exceeded only by his passion for people. Wayman Palmer will be honored alongside of five of his contemporaries including Bishop Robert Culp; Robert Kaplan, Esq; Larouth Perry, PhD; Dr. Robert Perry and Edrene Cole [posthumously]. Call 419-720-4369 for tickets and information.